Remember the scene from ‘Jab We Met’ in which Kareena was stranded in a small town Ratlam when she missed her train? She marveled at the narrow lanes and lifestyle of that small town, and points how she always wondered when she passed through it. Being an avid traveller myself, I totally related to the scene. Whenever I travel to a major tourist destination, I love to take a detour to such small towns and get the feel of those quirky lanes, laid-back life and local attractions. I did it when I went to Manali. I stopped at many towns enroute, drank tea at tea-stalls and explored their marketplaces. And, there are certain small towns that have caught my fancy for many years - one, because of its Bollywood reference and others, because my father. Every time he came back from his official trip, he narrated his experiences in detail. As a child whenever I heard, ‘Jhumka gira re, bareilly ke bazaar mein’ on radio, I sketched Bareilly in my mind, specially its market. I always wanted to go there, roam in its famous bazaar and buy a thing or two. And now as an adult, I know there is much more in this fabulous city to explore. There is so much history and culture in this small town that I am totally mesmerized by it - from its historical importance in the revolution of 1857 to religious and recreation places. For starters, it has one of the best amusement parks in North India - Fun City Boond and Amusement Park, where one can have plenty of fun with their family. In addition to it, this city has many parks throughout - Phool Bagh, Children’s Park, Lichi Bagh and Gandhi Garden, which are perfect places for a quaint morning walk or a relaxed evening. If you love nature as much as I do, a stroll in one of the parks and checking its plant collection sounds perfect. Another high point of this city is its religious places. It has 4 Shiva Temples at each corner of the city - Alakhanath, Trivatinath, Madhinath, Dhopeshwarnath. Each temple has its own history and significance. Dhopeshwarnath, which is believed to be the birthplace of Draupadi, and Alakhanath is the home of naga sannyasins and has many shrines devoted to different gods and goddesses. Bareilly also has a popular Muslim shrine - Dargah é Ala-Hazrat, which is famous for a cult of Sufism. Without doubt there is so much to explore in this small yet beautiful town, much more than I ever thought of! Just 200 kms away from Bareilly is another town where my father traveled a lot for business - Meerut. Just like Bareilly, even this small town boasts of history and culture. During his many trips, my father visited almost every religious place in the city. Jain temples of Hastinapur is a great place, he said often. 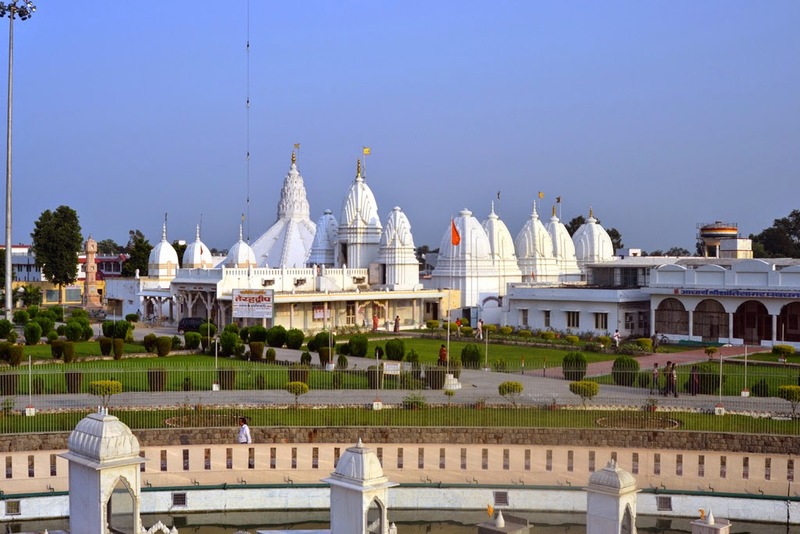 It has Jain Temples - Shri Digamber Jain Mandir, Jambudweep, Kailash Parvat, Shwetambar Jain Temple; and a Gurudwara and Hastinapur Sanctuary. I remember my father narrating the beauty of Saint Johns Church, as it was the first church he ever visited. Other prominent religious places of Meerut are Augarnath Temple and Jama Masjid. If one one hand Meerut has serene religious places, on the other it has Martyr’s Memorial - a 98 foot marble pillar situated in the city where all major National festivals are celebrated, giving city a patriotic feel. 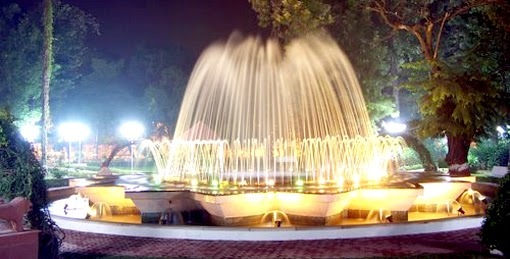 Even the pre-independence Gandhi Bagh is a major attraction of the city. And there is one place which is on my list since my father told me about it, Suraj Kund - there is a pond dating back to the 17th century and a temple with breathtaking architecture. One can sit and pray there, sounds like a perfect place to go in the evening after a trip to the city. Lastly, there is one city where my father has been many a times, but unfortunately rest of us always missed the opportunity. Nanded, a small town in Maharashtra is of great significance because of Gurudwara Shri Hazur Sahib. Situated on the bank of Godavari, it is the place where the 10th Guru, Guru Gobind Singh took his last breath. I have seen three out of five takhts of Sikhism and it’s my wish to visit the remaining two. Not only this place is of religious significance but the architectural beauty is astounding. 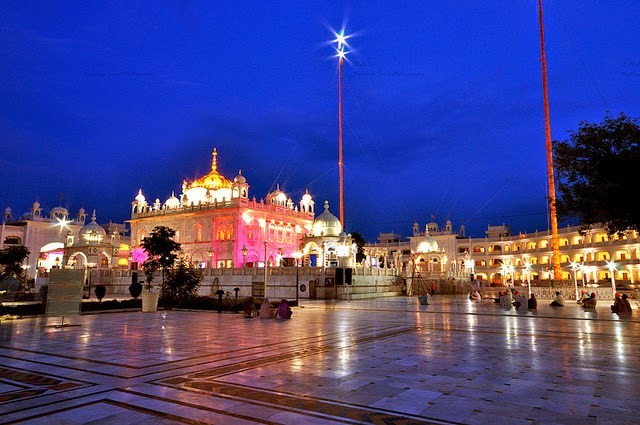 The 'Laser and Musical Fountain Show' at the premises of the Gurudwara attracts thousands and adds magnificence to the place. Nanded is an absolute gem, a small town which holds majestic significance for millions. When my father travelled years back to these towns, he took extra care while packing - clothes, documents and enough money for contingencies. Now, things are comparatively easy for travelers. Most services are easily accessible, like banks. Kotak Mahindra Bank is expanding its presence in small towns, which not only help locals, but businessmen and travelers like my father. It has branches in all the cities that I’ve mentioned. And with their #KonaKonaKotak initiative, they are reaching out to millions and bringing banking on their doorsteps. Fantastic, isn't it! As they say - Not all who wander are lost. So, what are the little gem towns you have discovered while taking a detour on your trips? Coming from a small town, I agree with everything you said. Ah, that's a very beautiful thought. Yes, they are content with what they have, I was like that. Guess, big cities have corrupted me. Free yourself, Ash. Travel like you are exploring the world and discovering things beyond what is obvious. Endorse your perspective about small towns and there interiors! :) Thanks for reading ma'am. Indeed, generally pristine and untouched - it's the smaller towns that make for some of the biggest of travel joys. Beautiful read! Yes, they do. Thanks for reading Arti. I really like the shots of these places. There's this old school charm associated with small towns that makes us stop and wonder about them. But, I am more of a city girl and fantasize about Mumbai, London, Sydney more than I do about the countryside or small towns. But still, the size doesn't matter, it's the culture of these places that draws us towards them..Lovely post! True, I love the small city vibe, their culture and almost everything related to it. Big cities fascinate me but that love affair last only for a couple of days. I guess, I love big cities in pieces. They surely do. Thanks for reading Maniparna. I love small towns though I do look for basic amenities. There is a charm and character in them that is so endearing. I have visited Bareili more than 10 times but never though about that this dull place can be a visitor place too !! same for Meerut . There is great and untouched treasure in small towns also but we dont know about it or dont want to know . Nanded , I never visited. But if in future , I will visit these places sure after seeing your pictures. Thnx to introduce us a hidden treasure Saru ji. Small places have so much history. Few days back my husband was reading a blog that mentioned many places around my hometown Ambala. Most of the time, we are not aware of our own neighborhood. Thanks for reading and share your experience when you visit Nanded. Glad you did. Thanks for reading Renu. Really nice shots of these places and beautifully written! Can relate. I stay in a non-metro after having stayed in major cities throughout my life, and the pace of life is quite laid-back ! I think most of us want to retire to such places eventually. Yeah, one thing we all love. The beauty of small towns is the fact that they are untouched from all the hullabaloo and commercialization which is there in most of the tourist hotspots :). Very true, they remain pristine. The best part "Meerut". Because I am from Meerut. But you know "Ghar ki murgi dal barabar". I have never read so beautiful about Meerut and I have always wondered where I can take my friends when they visit my town. It's always like we always praise the lights that decorates our house during Diwali but never enjoy the star laden sky at night. We always run towarsd the chakachond and forget the beauty of simplicity. For sure I will be visiting these places next time I am going Meerut :). Also I would like to add that during my visit to Puduchery I experienced the same thing. I decided to take a walk in the lanes of Puducherry, I wanted to see local people, the local house and it was a great experience. Generally we visit all the famous spots whenevr we travel but miss the local beauty of the place. That's actually what is called travelling. Yeah, the essence of traveling is to get to feel of the city. I always do that and this is one reason, we always pack our running shoes on a trip. We walk and walk to explore the hidden beauty of that place. Good to know that your are from Meerut. Thank you so much for reading and welcome here. You must visit their hometown. Small towns are intimate and slow, unlike Mumbai. Thanks for reading and for a lovely comment.